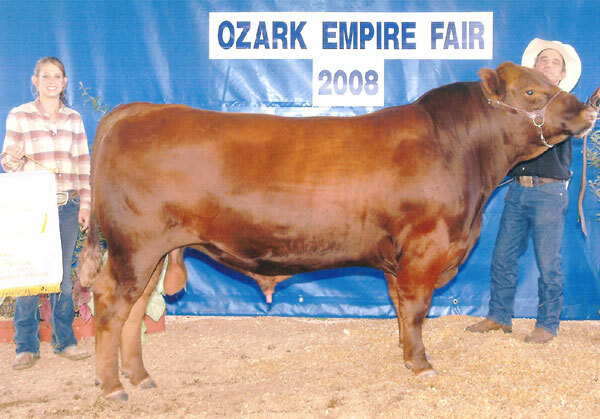 OWNED BY MARK RUDDLE OF ADAIR, OK. 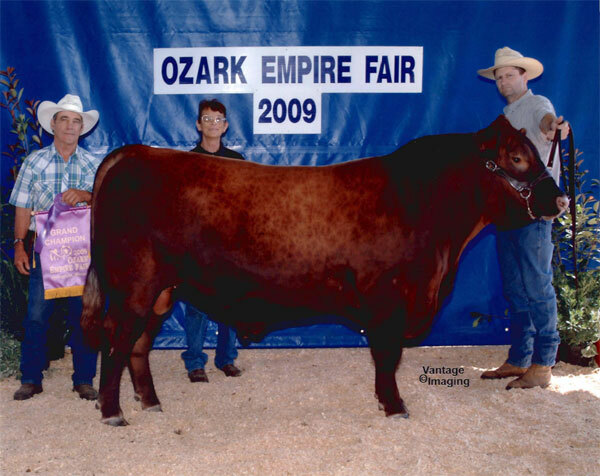 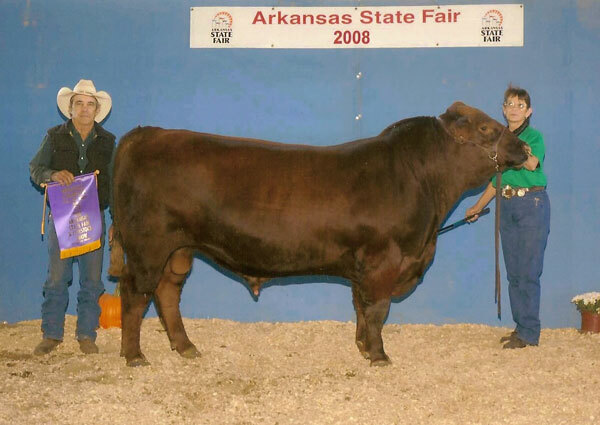 HE PURCHASED MATTIE AT THE TEXAS RED ANGUS SALE IN GLEN ROSE, TEXAS. SHE IS OWNED BY CAROLINE FRUEHAUF, WHO PURCHASED EMILY FROM US. 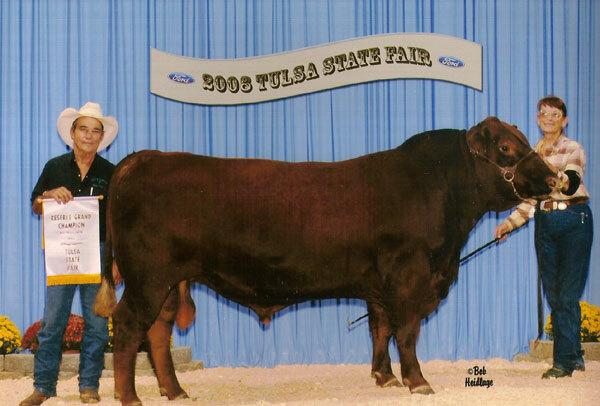 THE CALF AT SIDE IS SIRED BY ORYS OKETA DOBBS, A MAJOR LEAGUE SON. 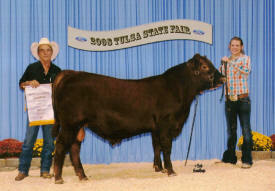 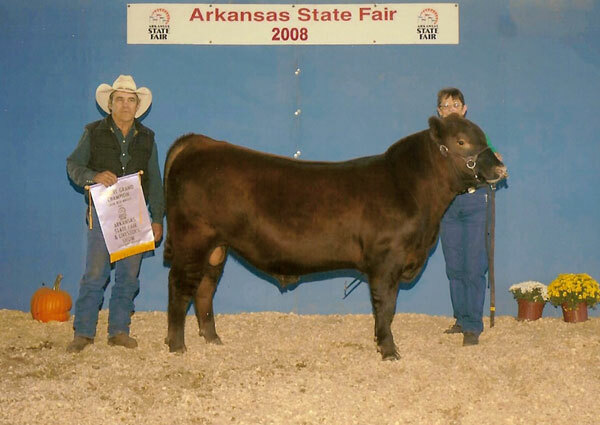 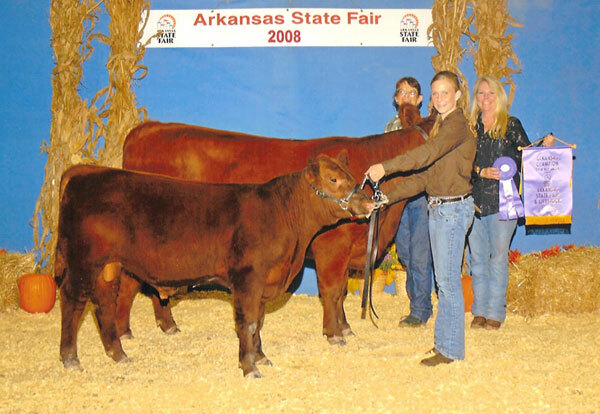 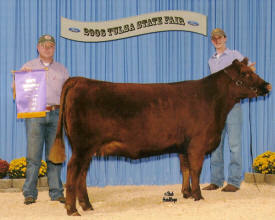 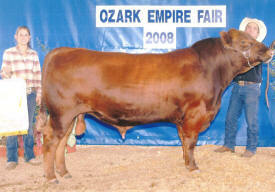 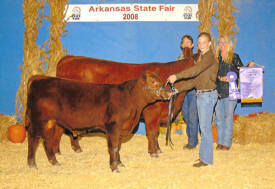 • JUNIOR CHAMPION HEIFER SHOWN BY TRAVIS RUDDLE - ORYS WYATTS MISS MAIZE.